The Development Research Center of the State Council (DRC) sent a delegation to Israel from May 8 to 12. 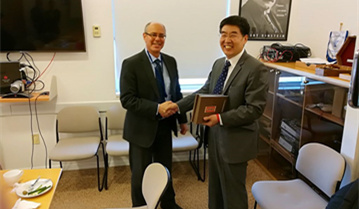 Long Guoqiang met with Craig Allen, President of the US-China Business Council, on March 26. Ma Jiantang met with Victoria Kwakwa , Vice-President of the World Bank, on March 26. The Research Department of Industrial Economy of DRC organized a seminar on the DRC- Shell cooperation project, “China Energy Revolution in the Background of Global Energy Transformation”, on Feb. 26.